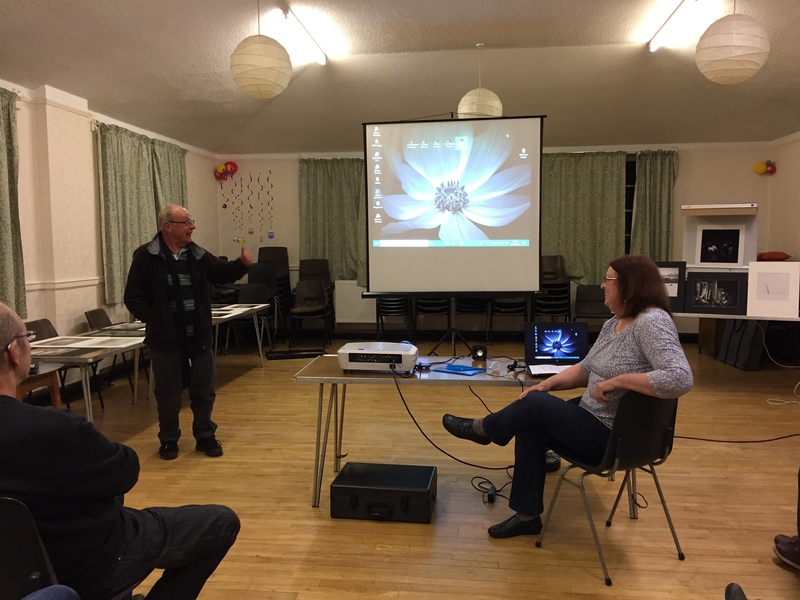 Tomorrow evening we meet and the main theme is to view images – and appraise them, from this years suggested list of ideas for projects. Constructive comment always helps hone out imperfections. Last week we had a guest speaker, Sue Berry (visit her web-site) who brought some stunning b&w images to display. One of her key themes is the industrial environment and here she excels in pulling out an image of merit from what would have appeared to be some old smoke stacks and buildings to me. A very unassuming woman with a down to earth approach to photography. Chairman thanking Sue after very entertaining evening.